Sorry for the lack of posts. We recently welcomed our third child less than 2 weeks ago so we've been busy. Here are some new (and not so new) vintage inspired travel posters. The first two were painted with acrylics on paper, on masonite - 18 by 24 inches. Originals are available upon request. Just email me at stevothomas@msn.com. Posters of different sizes are available here. I completed this on a few years ago and recently modified it slightly. It was done digitally so there is no original, but posters are available here. I heard there's a still a tourist ban in Mordor. The last visitors were trapped in a volcanic eruption and had to be airlifted back to safety. Moria sunk low on the "places to visit" because of those damn goblin ghettos. Do you ever design book covers? Those are amazing! They made my day! Fantastic work. Thanks for sharing it. May I humbly suggest a poster for Gondor and Minas Tirith, in particular? The White Tree would make a lovely postcard in your style, and I would consider purchasing an original of anything that depicts the White Tree in true fashion. May I suggest Caras Galadhon in Lothlórien? 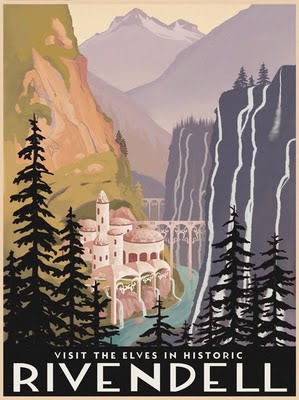 I also have a collection of fantasy travel posters. I am so amazed on how the maker of those posters can imagine very unbelievable places. Just like those posters that you post. It so impressive. 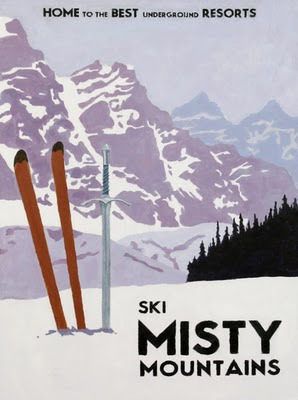 I esp like the skis and sword on the Misty Mtns - lovely detail! Amazing post. The pictures are really so lovely. Good blog provides information relevant to cheap flights and air tickets,london delhi flights provides you the information regarding various airlines and their services to facilitate travellers. Really,these posters are looking so good. I think you are not interested to send posters,that's why you mention 'we are busy'. Your posters are really amazing. This shows how deep you can think in terms of imagination. It can be judge by your creativity. Thanks for posting these posters. The first two were painted with acrylics on paper, on masonite Thanks, great share. These posters are nice ones.I liked the third one most.Thats great!The first two were painted with acrylics on paper, on masonite - 18 by 24 inches. Just like those posters that you post. It so impressive. Amazing post. The pictures are really perfect. What a nicely painted papers. Thanks great job. I would consider purchasing an original of anything that depicts the White Tree in true fashion. The vintage inspired travel posters. Really nice posters...Its a right place for right updated information regarding tourism and relevant..Thanks for this post..
You did a good job I like your all posters which mention here and I would like to see your more posters if you have..please share. Nowadays i am going crazy about vintage inspired travel posters...i liked the third poster the most of the above three posters! and no issues that you were busy! keep posting like this! Steve Thomas has created an awesome set of eight Star Wars inspired travel posters using the vintage style from the early 20th century. 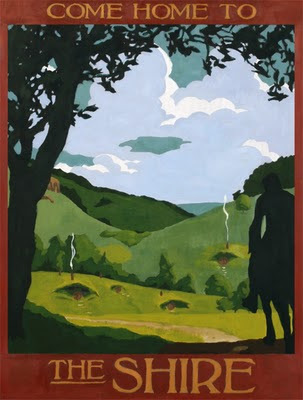 ...All three posters contain hand-drawn elements, ...these vintage travel posters are so beautiful...thanks.. Wonderful, I'd love to see more like these someday. Nice one!! They'll explore during the tool is the ability to search real world resources and there are also cool tools available to people. Really nice post.. I am so amazed on how the maker of those posters can imagine very unbelievable places. Just like those posters that you post. It so impressive. ohh great man your art of making natural things on the web is incredible. by seeing your posters it feels us the naturality about the surroundings. best one which i like it is "visit the elves in historic" , go ahead nice. 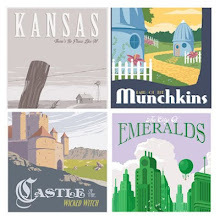 I love travel posters and those are beyond awesome! !You do find the coolest stuff! Those are really some impeccable poster designs! I am so amazed that, how the maker of those posters can imagine those type of unbelievable places. Thanks so much for still being so in touch with all the posters and thanks for updating us with your stuff. All the best, keep shining. Awesome, liked the misty mountains poster. What a lovely poster..Quiet different from other poster..I like this type of post..It create charm after reading. I am the true lover of nature... this pictures are so attractive...lovely colour combination..thanks for updating this.. I have a collection of posters and i surely include these amazing posters. Awesome pictures. I loved them all. Thanks for the sharing of the same. The misty mountains reminds me of my old memories. Thanks a lot of making me remind of those. Lovely work done! I just love the color combo that you went with Thanks again for sharing this! Discount UGG Boots Yin Bai Daqi, "You are a mother say such things." ugg kenly black Taiwan Green does not deny, she nodded, "I do not know." uggs discount code I usually laugh car parked three minutes to pick up a bouquet of flowers will be traffic police issued two tickets, I thought this time they will send tanks to fight me, who knows picked a color, all right. www.uggsaustralia.me.uk Yinbai be stubborn, but also from the frustrated, the dissolution is not removed, the presence of the mother's face, the original letter into the trash and went out. One of the great joys of driving a Private Hire vehicle is the variety of stories that sit in your car. Not everyone wants to talk to you, but the majority do, and that makes the miles go past quickly for both cabbie and fare alike. Thanks for sharing. How about we start with a few fundamentals. What are vintage notices or vintage prints? They go from publicizing notices to fancy prints or masterpieces. The term 'vintage' uncovers that they originate from a past time, as well as more imperatively that they catch something of that former period, regardless of whether it be a state of mind, style, thought or routine with regards to the time. Trialix Male Enhancement Cannabidiol, or CBD, is a chemical compound that's found in the hashish plant. CBD, quick for cannabidiol, is a compound found in hemp vegetation. With a number of drops a day said to supply a myriad of benefits, together with nervousness and irritation aid , it's no marvel that our healthy counterparts stateside have discovered methods to include the straightforward oil in the whole lot from jelly sweets to bathtub bombs. We associate with a number of the firms that sell these products, which suggests Healthline UK and our companions might obtain a portion of revenues should you make a purchase utilizing a link(s) above. Gdyby temperatura zabijala THC i CBD to olej RSO by byl nieskuteczny jak i maslo konopne. Hemp oil is not going to help cancer. Nonetheless, due to regulatory limitations right here in the U.S. associated to growing and processing of hemp, the method for getting CBD oil products to the buyer's doorstep is sort of a bit more complicated. Unlike medical cannabis, CBD is authorized in all 50 states. Not surprisingly, folks with epilepsy face vital challenges - from the price of healthcare to work limitations and social isolation. Not all studies show a potential for beneficial results on cholesterol as a consequence of the usage of hempseed oil.